Charlie Fink , CONTRIBUTORI’m a former tech executive covering VR, AR and new media for Forbes. Opinions expressed by Forbes Contributors are their own. Dreamscape Immersive’s one month pop up venue in the upscale LA mall, Westfield Century City, sold out in 48 hours. The optimism around LBVR is about to be tested as high-end VR attractions like The VOID, and large-scale international attractions like Oriental Science Fiction Valley, which opened April 29th, 2018 in the southwestern province of Guizhou, China, open to the public. VRBars and humble VRCades are opening in the Americas by the hundreds. There are reportedly over 3,000 such locations in China already. Two Bit Circus is imminently opening its downtown-LA attraction, a full-service bar & restaurant which offers an array of VR experiences and casual entertainment like robot bartenders. More expensive, high-end free roam installations from VRStudios, Zero Latency, The VOID, Dreamscape Immersive, Nomadic, FoxNext, Pure Imagination, Tick Tock Unlock (UK), Backlight (France), HADO (Singapore), Battleverse (Toronto) and the newly announced Figment, have dozens of openings planned between them this year. 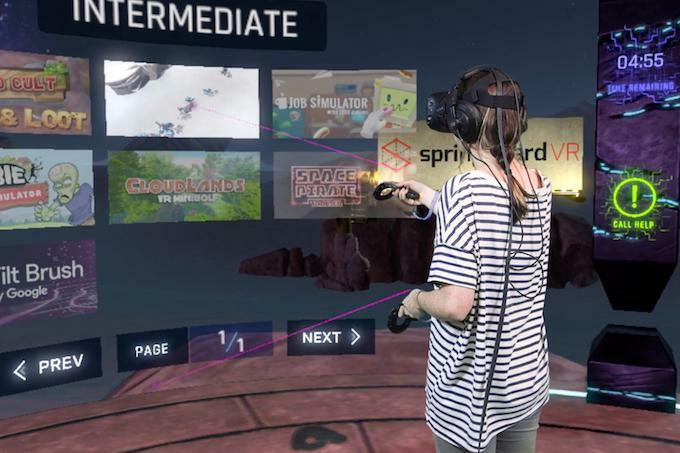 At the same time Family Entertainment Centers (FEC’s), and Adult Entertainment Centers (AEC’s), hungry for high revenue cutting-edge VR, are snapping up smaller VR installations like Hologate and WePlayVR (from AiSolve), which are optimized for their operating environments. Alexis Macklin, of Greenlight Insights, says the global location-based VR entertainment market will more than double in 2018, to $1.2 billion, and will grow to over $8 billion by the end of 2022. 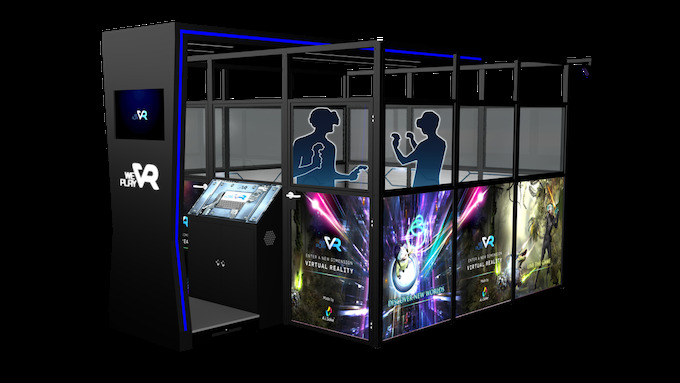 Fast-growing WePlayVR from AiSolve is optimized for streamlined operations at Family Entertainment Centers. Hologate combines four Vive room scale set ups to create multi-player experiences. Leif Petersen, founder, and CEO of Hologate, a four-station Vive room scale system for FEC’s that is tethered (i.e. virtually free roam), told me the company is on track to open 90 locations this year, bringing their total install to 150 by year’s end. Hologate now has 60 locations which serve 100,000 customers every month. VRstudios, founded in 2014, is one of the established leaders in high-end free roam LBVR. The company does not operate its own locations, though it has 57 installations in 14 countries, mostly in theme parks like Universal Studios and Knott’s Berry Farm. 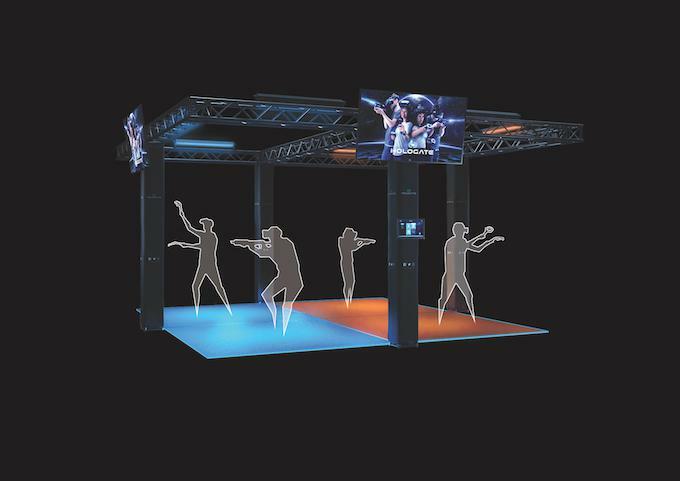 The company just introduced a small (10’x10’) turnkey free roam VR system much like WePlayVR, called the VRcade Atom. “Atom is a true commercial-grade, wireless free-roaming system, and its price point makes it compelling for LBEs to drop the wires and add VR attractions to their business,” said Kevin Vitale, VRstudios’ CEO. At the same time, VRstudios is developing a multiplayer free roam sports-based VR experience with high repeatability for its clients and is contemplating its own retail venues. Vitale says the Atom system is very cost effective, easy to install and efficient to operate. Atoms have a small footprint and, like the other VRcade systems, do not require expensive facility changes or construction. It’s a turnkey system that includes everything an LBE needs to add room-scale, free-roaming, multiplayer VR attractions to their attractions. Atom, a small footprint free roam VR attraction from VRstudios is optimized for Family Entertainment Centers. During my travels, I was able to experience three new free roam experiences that illustrate the incredible artistic potential of LBVR, and the economic challenges that come with selling entertainment in a retail environment. Free roam VR is the only true VR available to consumers today. Users are fully immersed, present in the form of an avatar, as are the others in the simulation, and can walk naturally in a virtual world, with full agency, freedom of movement and interaction. Free roam VR literally puts you inside the movie. Though this arguably jaded reviewer has quibbles, nothing in this story should suggest that, overall, every single one of these experiences is any less than flat out amazing. This is something the public has never seen before. What investors see in free-roam LBVR is not an illusion. 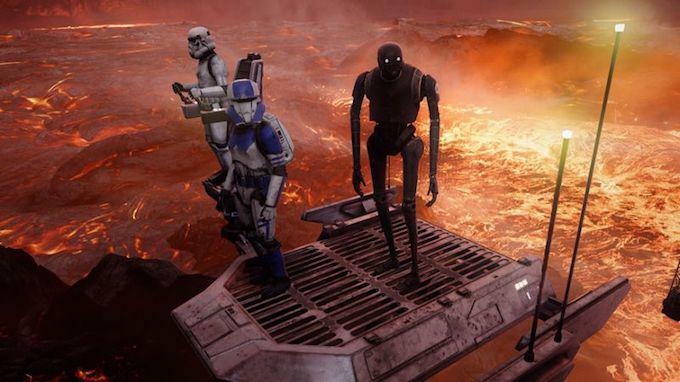 “This is nothing like the movie business,” says Cliff Plumer, CEO of industry leader The VOID, with eight international installations around the world, “This is something entirely new.” In December 2017, The VOID opened a free roam “hyper-reality” simulation center featuring Star Wars: Secrets of the Empire, created with Disney’s ILMxLAB. Last year, The VOID was selected for Disney’s prestigious Accelerator Program, and the entertainment giant made an investment in the company. Disney has given The VOID excellent retail locations in Downtown Disney in Anaheim and Disney Springs adjacent to Disney World in Orlando. The VOID is another overnight success that took five years. Having perfected their “theme park in a box”, The Void now features the the biggest entertainment brand in the world: Star Wars. 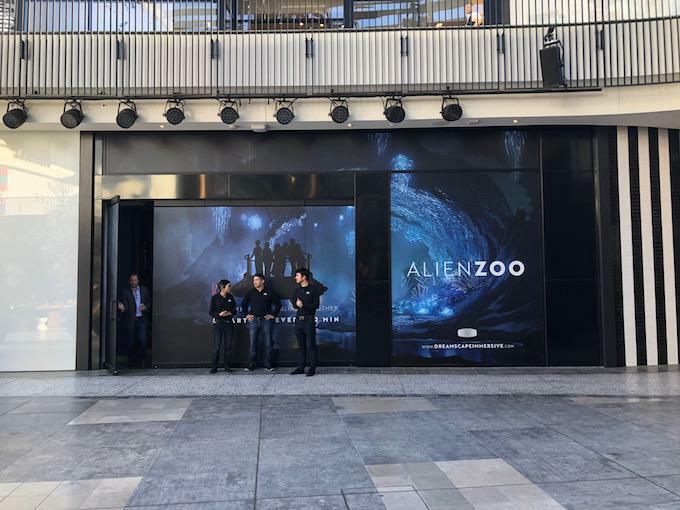 The VOID opened a new mall location in The Glendale Galleria in Glendale, CA, which differs from other VOID locations, which are in high-traffic tourist destinations like Las Vegas and Times Square in New York. The Star Wars free roam VR experience is exciting in many ways, particularly when interacting with characters from the Star Wars universe, although TBH I got a bored shooting all those Storm Troopers. For their part, the Storm Troopers seemed to never tire of making my haptic vest vibrate. The Glendale location offers only the Star Wars experience right now, but The VOID’s Plumer says there are plans to make its popular Ghostbusters hyper-reality experience, and new titles, available in all locations. With a single stage accommodating only four participants at once, or sixteen per hour, the math for the small The VOID location in Malls seems like a loss leader. With a maximum hourly gross of $400, and limited peak operating hours (Friday night through Saturday night), the VOID will find itself, like all retail operators, marketing locally and soliciting events like kids’ birthday parties. This is the only way to maximize utilization. Movie theaters, of course, have utilization issues as well. They’re often empty during the week, but because their maximum gross per two-hour screening is in excess of $3,000, they can make up for low utilization with a decent weekend. With less inventory, LBVR can’t do that. The other problem facing The VOID and its competitors is repeatability. With tickets over $20 for a fifteen-minute experience, Secrets of the Empire is unlikely to engender a lot of repeat play. Plumer disagreed with this analysis, and told me that “through our various locations, we’ve achieved over one thousand guests throughout the day.” 20K a day is a pretty sweet haul. With that kind of revenue, even a small chain of eight locations like The VOID could generate over half a million dollars a week, and easily finance new titles. Plumer said The VOID is also considering franchise locations, though he had no timeline for when that might happen. 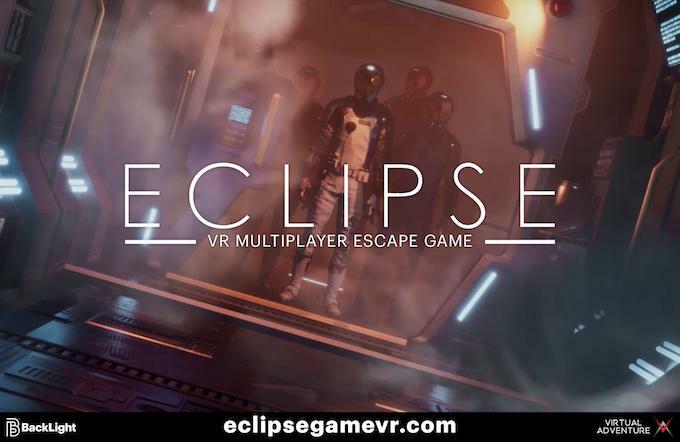 Eclipse is a multiplayer VR escape room that takes place on a crippled spaceship. A different approach is being taken by BackLight, a VR studio based in Paris. They’ve rolled out a unique, long-form VR experience, Eclipse, that casts users as rescuers of a spaceship (why does everything take place in space?) that has lost power and is about to be pulled into a sun. We discover the crew is dead and must explore the ship to unravel the puzzle and reactive the ship before we are sucked into the deadly fireball. Wearing a backpack PC, four users are free to roam the ship, but are forced to cooperate with the other people in the simulation. “Contrary to most VR experiences, we’ve chosen to develop something different than a shooting game. Eclipse is a four-player sci-fi experience, enhanced by physical effects, full body awareness and total freedom of movement. Players discover two spaceships during their adventure, without teleporting once. Our idea was to take advantage of the hardware while offering an interesting solution for LBVR in terms of value for money.” Said Frédéric Lecompte, co-founder of BackLight. The Eclipse experience can be found in two locations in Paris, France. Other European locations will be announced shortly. 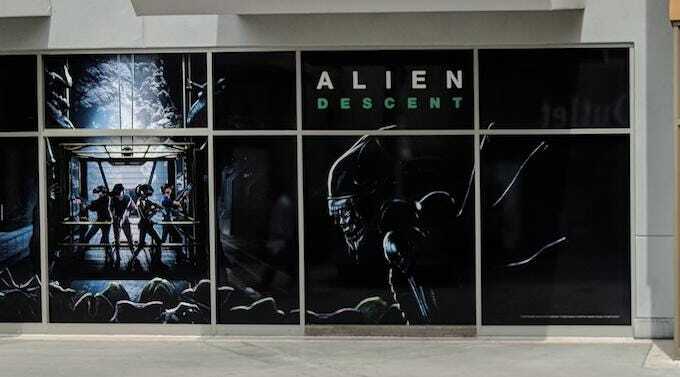 I was also able to visit Aliens: Descent, a free roam attraction in the large outdoor entertainment oriented mall in Orange, CA. Guests are cast as Galactic Marines, sent to clear bugs out of a mining station on a remote planet, just like in the movie. Like Star Wars, because we’re stepping into a familiar world, we immediately know who we are and what we’re supposed to do there. Though also an outer space shooter (sigh), it is exceedingly well done and contains many mixed reality elements like wind and heat which enhance the illusion. Salil Mehta, President of FoxNext, the studio’s innovation arm, is bullish on home VR. “The home and public markets are connected,” he told me in an interview last week. “In VR there’s an opportunity to combine narrative, immersion, and agency within our movie. Outside the home, there are more ways we can pull off the illusion of presence, using cold, wind, vibration, touch, and even smell to engage the senses.” He agreed that scale and utilization are issues, which is why FoxNext is working larger scale attractions, about which he hopes to reveal more in coming months. 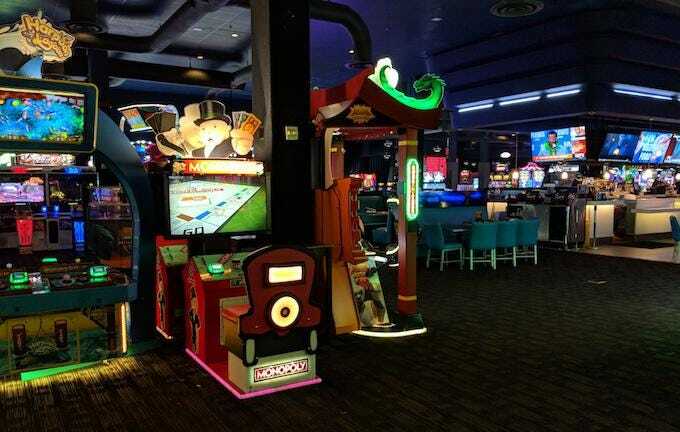 Founded in 1982, Dave and Buster’s, the largest chain of Family Entertainment Centers in the US, successfully integrates food, beverage and arcade games. A few steps away from the Aliens experience is the hybrid attraction Dave & Buster’s (D&B), which is a combination of an arcade, sports bar and restaurant. Founded in 1982, with 113 locations throughout the US, D&B is the only large-scale operator in the growing segment. Perhaps you’ve seen their recent commercials, which offer ten dollars of free gameplay with a meal. During the day, with the bar empty, the venue hosts corporate events and kids’ birthday parties. By capturing these contrasting segments, D&B is able to maximize its utilization. They have experimented with high-end VR in the past and operated Battletech’s vehicle-based simulators for almost ten years (1996-2006) but on a panel at FOiL, Kein Bachus, D&B’s SVP for Entertainment and Games Strategy, said the company is focused on plug-and-play experiences that do not require operators, an ongoing issue with LBVR, especially in FECs. Springboard VR provides a turn-key system for VRcades that allows an individual operator to manage reservations, ticketing, and licensing through their SaaS platform, which services approximately half the VRcades in North America. They have over 300 clients, with over 100 added in the past three months. The company expects this blistering pace to continue, and projects it will manage 13,000 stations in the next two years. Given their unique position, Springboard is coming to a detailed understanding of the VRcade business, what makes a location successful, marketing tactics that work, and optimal pricing strategies. Co-founder and CMO Will Stackable told me 75% of their VRcade operators report they are breaking even or turning a profit. “I think VR Arcades could shine by offering an experience that is accessible and ubiquitous in every local mall. What I think most people are missing is that the first-time experience in room scale VR for most people is actually going to be at a local VR Arcade. On our platform alone we’ve tracked 19.29 million minutes played in VR Arcades in 32 countries in the last six months. Most of those minutes played by first time customers,” he said. The partners in Springboard VR started out as operators themselves. They now operate a comprehensive cloud-based Vrcade management system as a service to other operators. Andal introduced the company’s newest products, Vusr Venue and Vusr Spark, in his presentation at VRLA. “Seeing great potential in LBVR, we felt it was the right time to take our innovative technology and apply it to this segment of the industry,” Andal said. Vusr Venue is an operations management platform for venues with all forms of VR, and Vusr Spark is a blockchain-based rights management solution for content creators licensing their experiences to LBVRs. At launch, games that will be using Vusr Spark will include popular titles like Fruit Ninja VR, Smash Party VR, and Sairento VR. When asked about Vusr Venue’s obvious similarity to the Springboard platform, Andal insisted Secret Location was focused on the high end of the market, and that the two companies were not direct competitors.